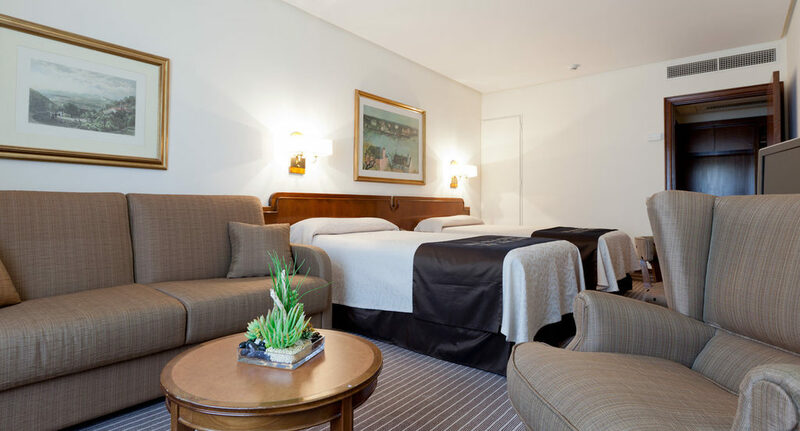 From 68€ per night - 220 rooms of 7 types. 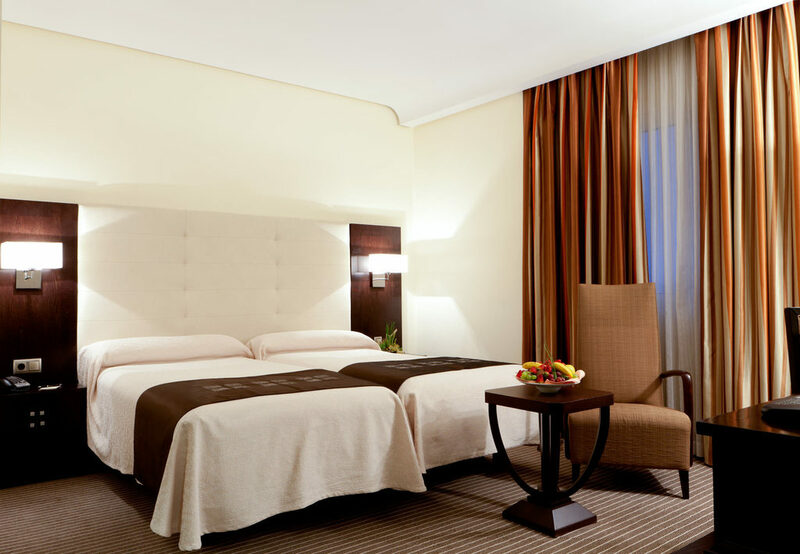 Perfect room for one person. All rooms are interior except the attic ones. 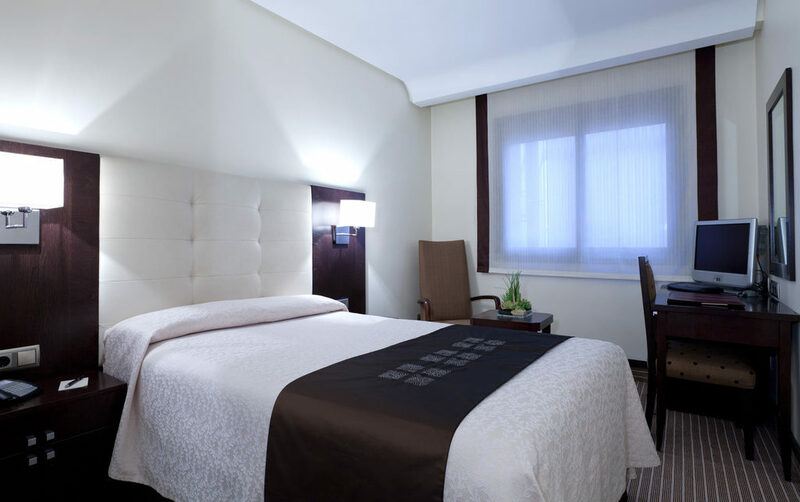 Visit Madrid and stay in this single room, which is slightly larger than the Standard Single Room. 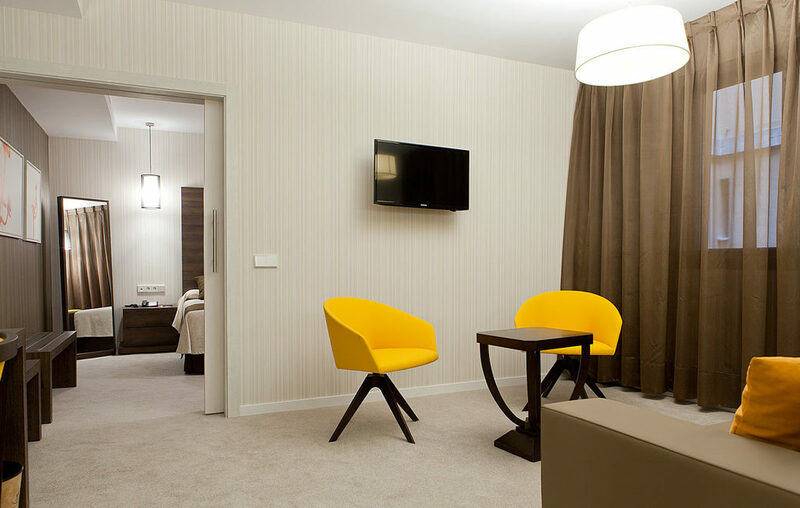 Discover a new way of enjoying Hotel Liabeny. 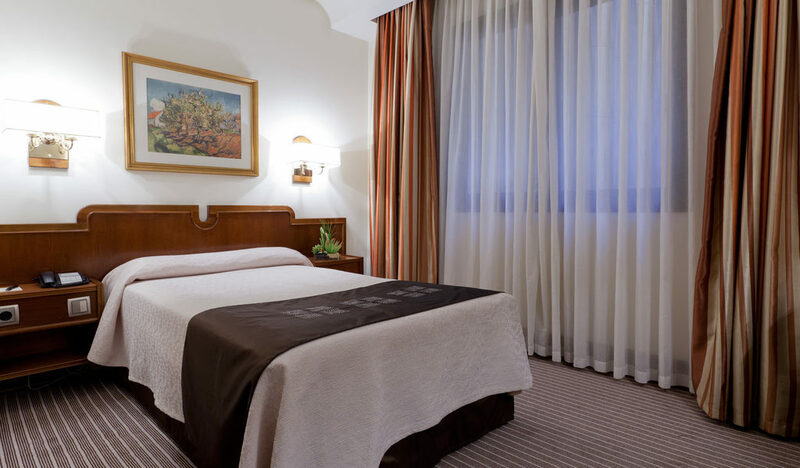 We offer a room with renovated decoration and modern equipment that includes two beds and a large extra bed that can accommodate two children. Maximum capacity for 4 people. Room for a maximum of three people. 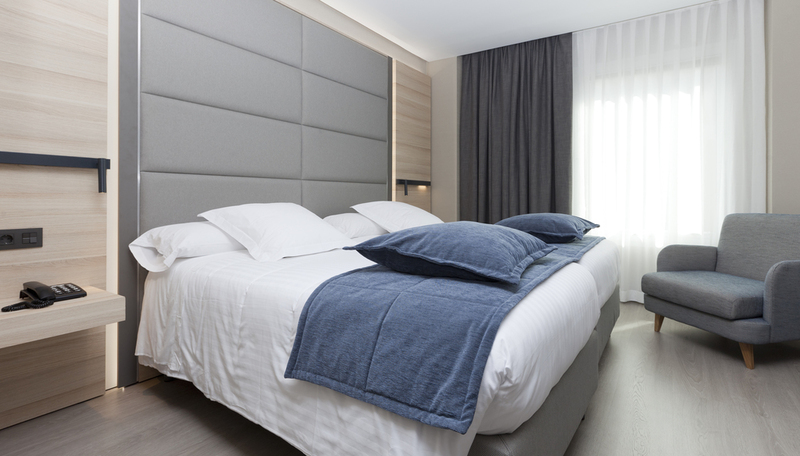 It includes a private room equipped with a bed, TV and an additional toilet. 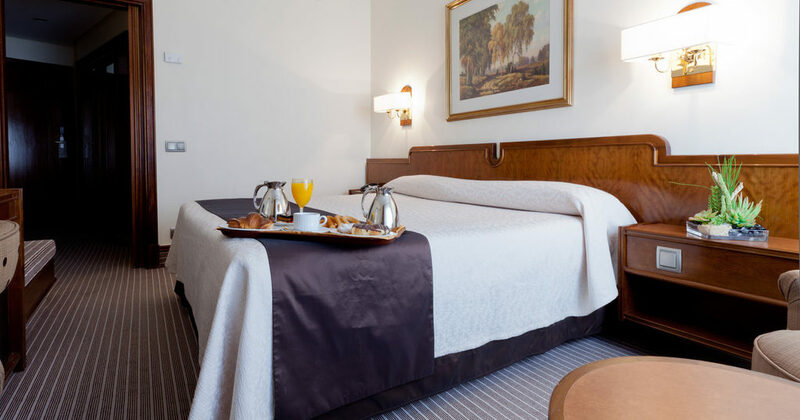 The room is available through bookings on the hotel website and it includes VIP service: breakfast, fresh fruit in the room, welcome drink and bathrobe. We also offer 20% discount on additional services.